The Book Has Arrived! 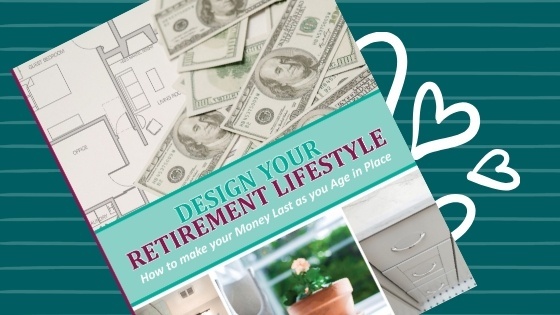 "DESIGN YOUR RETIREMENT LIFESTYLE"
I’m delighted to announce the arrival of “DESIGN YOUR RETIREMENT LIFESTYLE – How to make your Money Last as you Age in Place”. Instead, I’ll give you a brief overview of what it’s about and why this is good news for virtually every family in America. 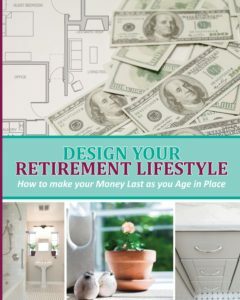 Adapting the best home design for you as you enjoy your retirement years. How incorporating this design means your retirement funds can last longer. Obviously I believe my design makes people safe and comfortable. Aging in Place, which I prefer to call Design for Aging, helps people navigate in, out and around their homes. It makes everything they need easy to reach. The added benefit is to make each room timeless and beautiful for all inhabitants and visitors, regardless of their age and degree of mobility. Making your hard earned dollars last as long as you need. Progress in technology gives us the ability to live longer and stay more active as we age. But it comes with a caveat – the possibility of outliving our money. Along with taxes and inflation…which are well established threats to our retirement incomes…we now have to consider what our medical expenses will be. In fact, medical bills have taken the spotlight as the #1 major threat to our savings. This is where Design for Aging really makes the difference. 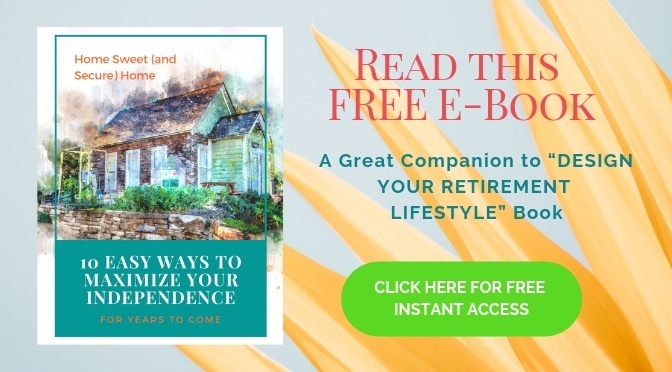 With the design tools offered in the book plus easy no to low-cost actions you can take, I show you how to transform your home into the sanctuary your relish AND stay as healthy as possible. Good physical and mental health are two of the best ways to ease the retirement burden on your wallet. Not only do you enjoy your retirement years to the fullest, you enrich the lives of the loved ones around you. Imagine having as much quality time with them as possible. This is the message I hope to get to as many people as possible. ← Do You Know You May Be Able to See Up To 10 Million Colors?